"The Boutique Hotel For You"
The Grand Hotel is one of the most established hotels in Tralee and renowned among Kerry hotels. 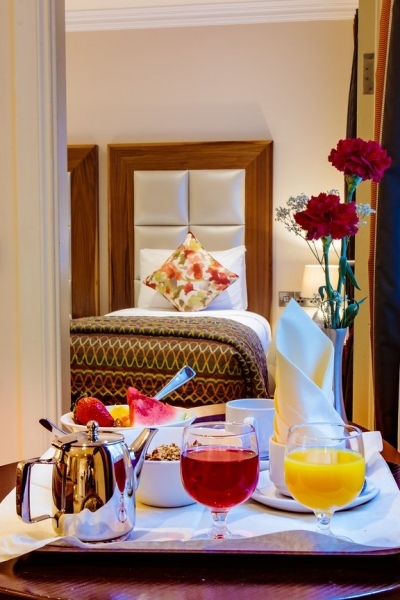 It is a Tralee town centre hotel and has been beautifully restored to its original architectural beauty, while incorporating the best of the modern boutique hotel style. The Grand Hotel provides traditional Irish music in the Pikeman Bar every Friday, and if you are searching for luxury accommodation in Tralee, you need look no further. The Grand Hotel is the most central of all Tralee hotels and it stands on the historically important site of Tralee castle. We are ideally suited as a base for touring the world-famous Ring of Kerry, and the Dingle Peninsula. In addition to being the perfect base for travelling to all locations in the South West of Ireland, or for Tralee town centre accommodation for the Rose of Tralee Festival held annually in August. The hotel is also on the coast route of The Wild Atlantic Way and just 17km from Kerry Airport. We look forward to welcoming you to The Grand Hotel.